The holiday season has come, and we can literally smell it in the air. Can you describe the scent of Christmas? For most of us, its aroma is a mixture of nutmeg, cinnamon, honey, mint, chocolate, and cranberries. These ingredients are widely used in traditional dishes for Thanksgiving, Christmas, New Year's Eve, and therefore have that special festive flavor. However, these products are much more than just food ingredients - they can be used in numerous beauty recipes and upgrade your look during the holidays. So why don't you buy some extra cranberries, cinnamon, or nutmeg this season and try some of the following remedies? Best known for its use in cakes, pecan and pumpkin pies, coffee and eggnog bread, nutmeg can "add some flavor" to your skin during the holiday season. It might be surprising, but herbal and traditional medicines have used this spice for quite a long time for boosting skin health. How does it work? many people wonder. Well, the mechanism is not fully understood, but the improvement of the skin's appearance is still a fact. It was noticed that nutmeg can hydrate the skin, reduce inflammation and irritation of the skin, and even diminish the marks from pox, boils, and acne. If you want to test the benefits of nutmeg, you should prepare a paste and apply it to your face. The recipe is very easy: take equal parts of ground nutmeg and water, mix the ingredients and apply the mixture to your skin. Leave it for about 20 minutes and then wash it off. You can also use honey instead of water - it will upgrade the positive effect of the mask. As noted above, honey is much more than just a sweetener for your pastries and drinks. We are sure you have plenty of honey at home which was prepared to make your holidays sweet and delicious. 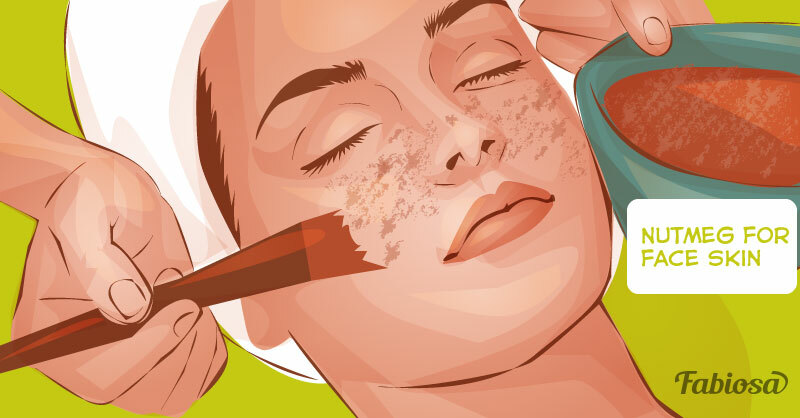 So how about using several tablespoons to boost your skin's beauty? Actually, this product has tons of skin and hair benefits, but we are going to reveal its effects on body skin. 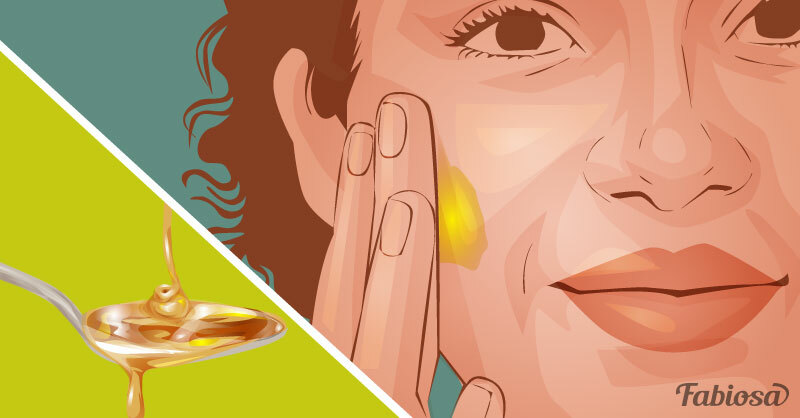 Honey is loaded with nutrients, antioxidants, and healing compounds which can help moisturize, fight aging and bacteria if applied to your skin. It may also fade scars, relieve sunburns, and treat acne. All you have to do for the "honey therapy" is to spread one teaspoon of honey on clean, dry skin. You may also mix equal parts of honey and coconut oil. Then rinse with tepid water. After 15 - 20 minutes, the remedy should be rinsed off with water. Cranberry sauce, cranberry cake, cranberry jam... Yum! These dishes taste like the holiday season. These ruby-red berries lend their sour flavor to both sweet and savory Christmas dishes, as well as drinks. But while you are used to enjoying the taste of cranberries during holiday seasons, you might not even suspect they have many health benefits and positive effects on skin and hair. These berries contain many vitamins, such as vitamin C, vitaminB3, and vitamin B5, collagen, and some antioxidants. Such compounds can protect and nourish the skin, including the gentle lip skin which is prone to chapping during cold seasons. Therefore, it may be a good idea to make a natural lip gloss to keep your lips firm and soft during winter. Mix one tablespoon of almond oil, one teaspoon each of honey and petroleum jelly and add 10-12 cranberries to it. Boil the mixture, mash the cranberries, cool it and then strain it. Apply a small amount of the balm to your lips to keep them shiny and healthy. Cranberry lip balm definitely sounds delicious! If you like the idea of using natural remedies for your lips, watch the video below. We compiled the easiest and the most effective remedies for chapped lips which contain no chemicals. Apple cider is a traditional drink for many holidays - it is traditionally served on the Halloween, Thanksgiving, Christmas, New Year's Eve and other holidays. But what about apple cider vinegar? It is also made of apples and is widely used in the household. What is more, it can be used as an ingredient in many beauty recipes. Since it contains calcium, magnesium, and iron, it can be used for strengthening brittle nails. To make your nails stronger, give them a daily apple cider vinegar bath. 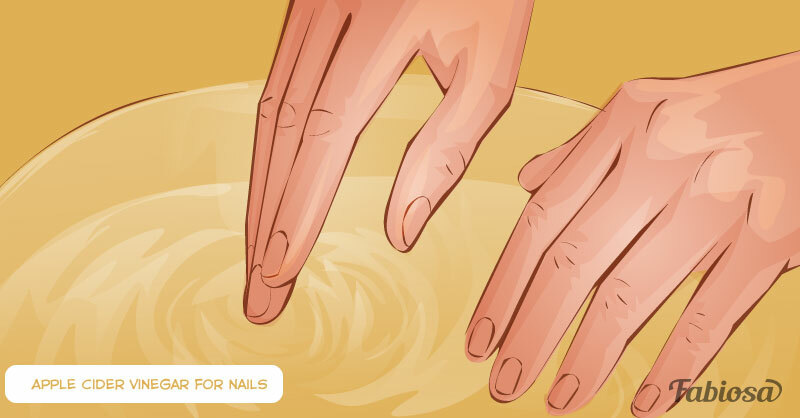 Mix equal parts of water and vinegar in a bowl, put your fingers in the mixture and soak your nails for a few minutes. Then, rinse with water. While making your gingerbread, make sure you leave some ginger for natural remedies. It will be also a good idea to purchase some ginger roots to prepare an effective body scrub. You must already know about some benefits of ginger. Loaded with antioxidants, this root is a perfect detoxifier. It is often used for fighting a cold, flu and its symptoms. But did you know that ginger may help you reduce cellulite? It's possible due to its ability to boost circulation and tone the skin. Mix all the components and use the mixture to scrub your problem areas daily. Please note that none of the recipes listed above contain preservatives, so they should be stored in a fridge for up to a week.